Choosing an insurance company is never easy. Sometimes you need a little help. 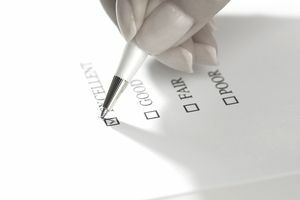 Insurance ratings organizations can give you an unbiased look at how an insurance company is performing along with the company’s key strengths and weaknesses. Weiss Ratings is a well-respected rating organization within the insurance industry. Weiss Ratings is part of Weiss Group, LLC. The company has four subsidiaries: Weiss Research, Weiss Ratings, Weiss Capital Management and the Weiss School. The research firm was founded in 1971 by Dr. Martin D. Weiss as a service for reviewing U.S. banks. In 1987, the company acquired T.J. Holt & Company and began the rating business. During 1987, Weiss published ratings for more than 13,000 banks and savings and loan institutions. Weiss ratings became the first insurance rating organization to issue independent financial strength ratings for life and health insurance companies. In 1993, Weiss also began publishing ratings for property and casualty insurance companies. The company was recognized by the U.S. Government Accountability Office (GAO) as having accurately issued warnings for insurance company failures including Mutual Benefit Life of New Jersey, Executive Life of California, Fidelity Bankers Life, Executive Life of New York, First Capital Life as well as others. The Weiss Group sold Weiss Ratings to TheStreet.com in 2006. However, in 2010, TheStreet.com sold Weiss Ratings back to the Weiss Group. In addition to insurance companies, Weiss Ratings also issues ratings for credit unions, banks, mutual funds, exchange traded funds and stocks. For insurance consumers, Weiss makes choosing the right company to help you get the best value on an insurance policy easier by breaking it down into simple terms you can understand. For example, Weiss publishes a weakest and strongest list of insurance companies. Companies rated weak have a “D+” or lower rating. These companies are believed to be financially vulnerable because of assets, liquidity, earnings or other factors. On the other hand, the strongest list displays companies with a “B+” or better rating. Companies rated strong are believed to have a low chance of failure. While the strongest and weakest lists can give you no guarantee that your insurance company will not fail, it is a good tool to help you see which companies have sound management and perform well financially. This is important to you in finding an insurance company who has the financially stability to be around when you need it along with having the ability to pay any claims policyholders may have. On the website, consumers are able to view insurance rating changes, including any up-grades or down-grades and why the rating changes were made. Weiss ratings are comprehensive and easy to understand for consumers looking to find the right company for their insurance needs. Its service is comparable to other insurance rating organizations such as A.M. Best, Fitch Ratings and Standard and Poor’s. You can see what kind of financial standing your insurance company has and how it is expected to perform. To get access to Weiss ratings tools, you must sign up for a free account. Companies with strong financial strength ratings can stand up well against economic downturn and changes in the insurance marketplace. It is important to choose an insurance company who can take care of all its financial obligations and pay claims promptly. Companies with strong financial ratings have a low chance of failure, meaning that you can feel safe buying an insurance policy. However, if you find your company has a low rating, you may want to consider moving your insurance to a more financially sound company. To find out more about using Weiss Ratings, you can visit the Weiss Rating website or call 1-877-934-7778. Customers can subscribe to receive free investment tips. After subscribing, customers will receive a complimentary subscription to the Weiss Ratings newsletter, insights, analysis and other special offers.